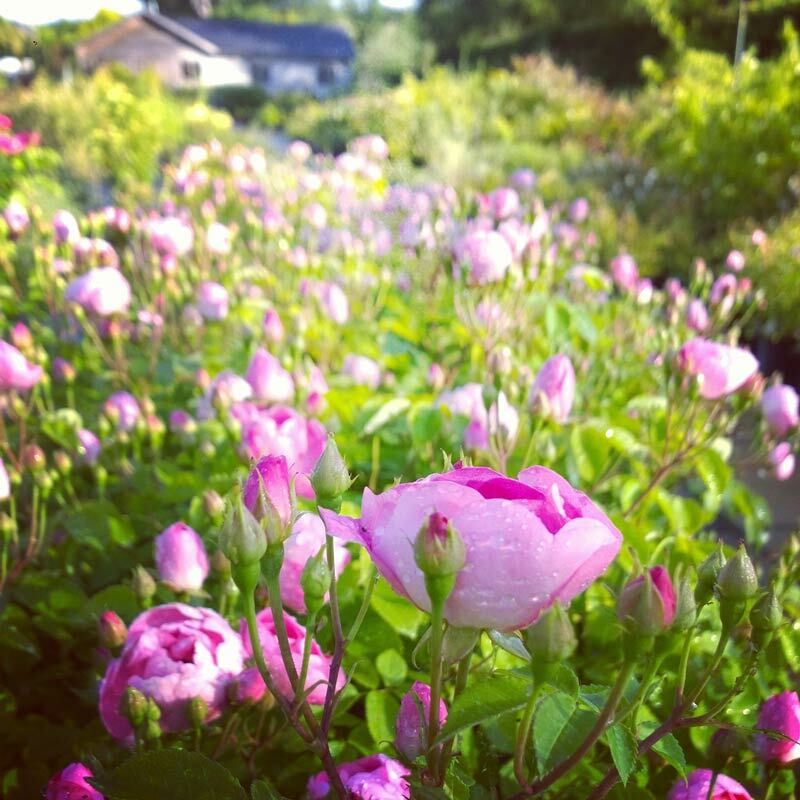 All our flowers are grown at our wholesale plant nursery in Cuxham, Oxfordshire so all our flowers are completely guilt free as the only carbon miles they travel are from us to you. They are all grown outside so no energy is used heating green houses. 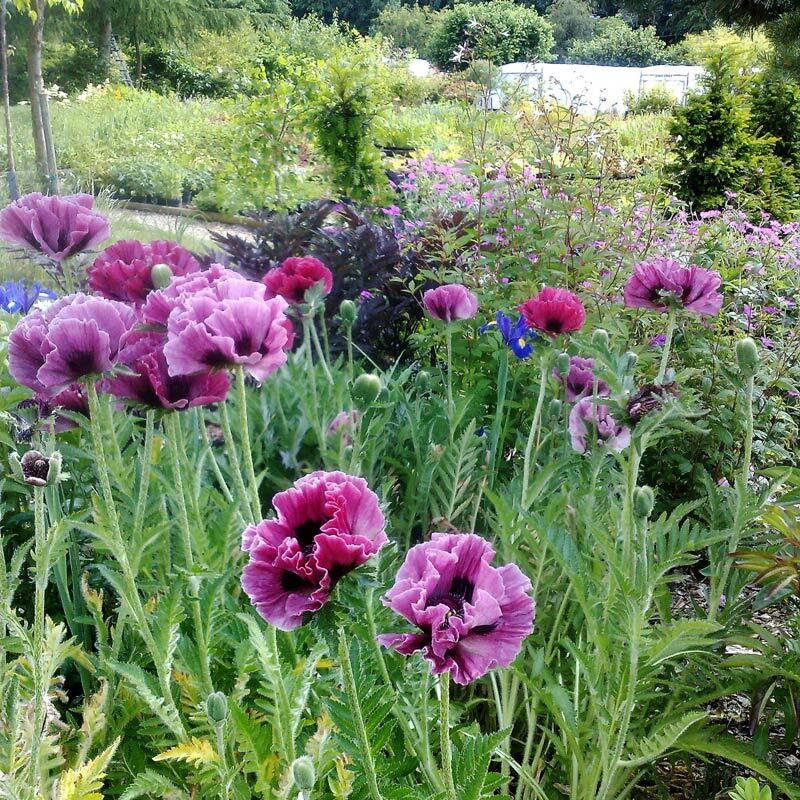 As the flowers are a by product of the hardy herbaceous nursery no additional chemicals are used in the growing of our flowers. The nursery itself runs on environmental lines with green energy, recycling, biological pest control and sustainability central to all our production methods. A far cry from the chemically enhanced jet set flowers that are taking over vast swathes of farm land in developing countries. 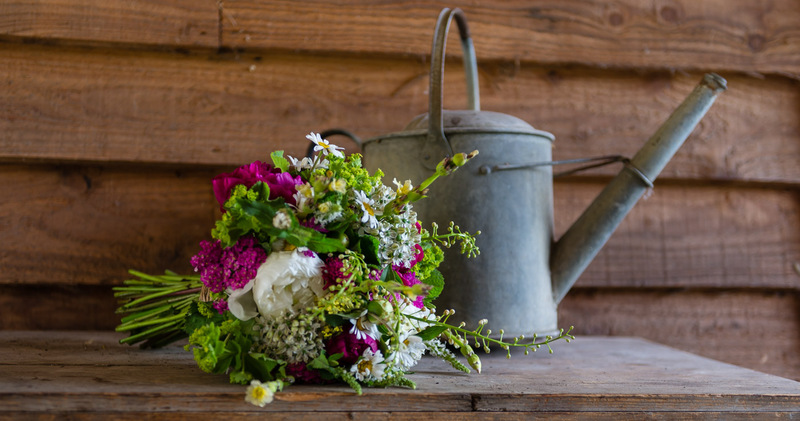 As more people become aware of the environmental issues created by the international flower trade, British growers are stepping in with a wonderful array of seasonal flowers which reflect the changing flora around us. It has never made more sense to buy British. It’s not just about environmental concern though. 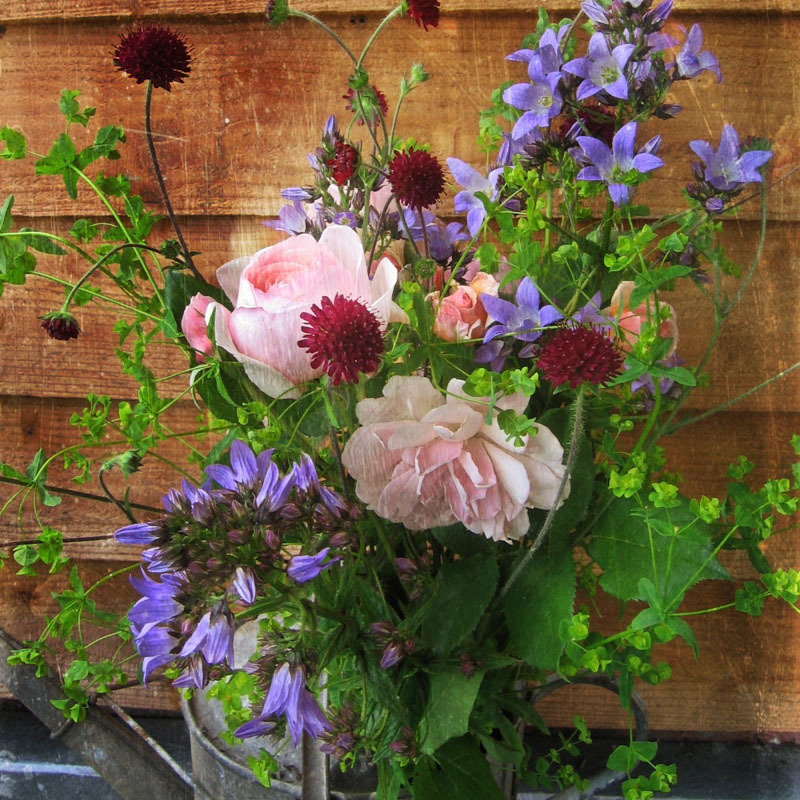 What could connect you with the seasons more than having cottage style Aquilegia in May, sumptuous Paeonies in June, scented Phlox in July, vibrant Agapanthus in August and dusky Dahlias in September. The ever changing palette of flowers available to us means you never have the same bunch of flowers twice. We choose the flowers that are at their peak on the day and hand pick and individually selected from our beds in the early morning. They are then conditioned to ensure maximum freshness and vase life.We would expect most of our flower bunches to last a week as long as they are kept topped up with water. The bunches are hand tied and ready to put straight into your vase at home. The nursery specialises in perennials and ornamental grasses so we have a ready supply of the more unusual garden flowers that you wouldn’t get in your average flower shop, plus the flowers really do have the glorious scent and natural charm of freshly picked garden flowers so often lost in mass produced flowers that have travelled miles and miles to get to you.